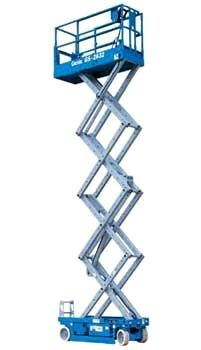 The quiet, zero-emission electric Genie GS-2632 slab scissor lift is deal for maneuvering in tight spaces. 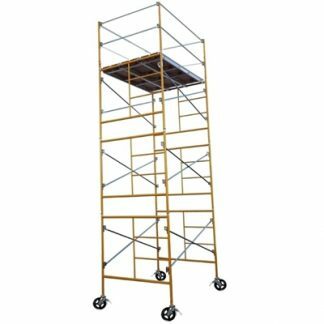 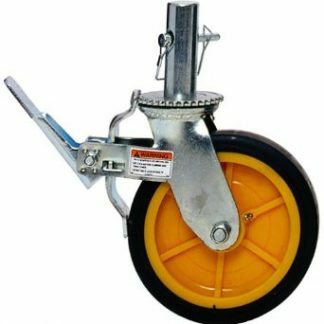 This lift can be used for indoor and outdoor construction, maintenance, and installation on ?rm, level surfaces. 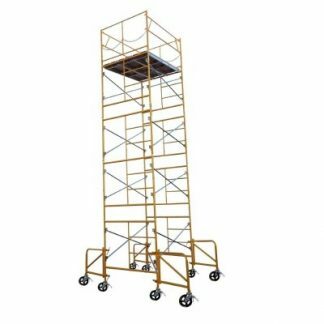 It has a large platform workspace with a 36″ (.9 m) roll-out platform extension, high-angle steering for excellent maneuverability, folding rails with half-height swing gate come standard, and an emergency stop at both platform and ground controls for added safety.